Enjoy Halloween Jack Slot – Generous Offers @ Moon Games! 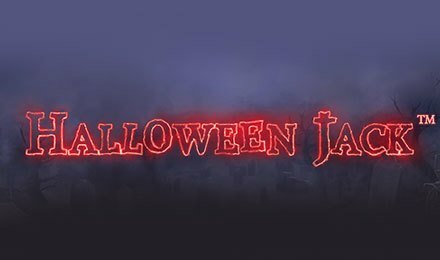 A spooky experience awaits on Halloween Jack Slot, powered by NetEnt! It offers 5 reels and 20 paylines and takes you to a mysterious and hazy world. This game is definitely not for the faint-hearted. Its background is a ghostly and dark one, set against a structure with 2 pillars on each side and jack-o’-lanterns at the bottom. While spinning the reels, notice how these jack-o’-lanterns glow! Do you get goosebumps while listening to the harrowing soundtrack? Feel this frightening atmosphere even more with symbols like a Female Vampire, Raven, Horse, Bat, Horseshoe, A, K, Q, J and 10. Are you ready for some frightening action? Start by picking a preferred coin value using the - and + signs on the respective field. You can also set your preferences on the Level display. A Max Bet tab is available if you wish to go for the maximum bet. Want to opt for a sequence of rounds? Make use of the Auto Play button to select a specific number of spins that are automatically launched. In the meantime, enjoy some Halloween cookies! Bet Levels: One to ten bet levels are at your disposal during the game. Amount of Paylines Selection: The 20 paylines stay active during your gameplay. Coin Values: The bet values vary from £0.20 to £100. Have a look at the thrilling features of Halloween Jack Slot! The Pumpkin icon stands for Wild and can replace any symbol apart from Scatter and the Lantern in winning combinations. During the base game, it does not show up on the first reel. In any winning combination which includes a Wild, the prize is multiplied by 3x. The Wild icon also triggers the Walking Wild Feature. Land a Wild on any of the 3 middle reels during a Free Spin to enjoy the Walking Wild Feature on Halloween Jack Slot. Here too, the payout of any winning combo which includes a Wild is multiplied by 3x. Wondering about the Free Spins Feature? On Halloween Jack Slot, it is triggered with 3 or more scattered Treasure Chests anywhere on the reels. You are then rewarded with 10 free spins. When 3 or more Scatters occur during the round, you can receive 5 additional spins that are added to the remaining ones. Stacked Hell Hound Wild: When you collect 3 Lanterns, the next Wild on the reels becomes a 2-high Stacked Hell Hound Wild. This results in the Walking Wild Feature. Stacked Jack-O’-Lantern Wild: If you accumulate 6 Lanterns, the next Wild symbol turns into a 3-high Stacked Jack-O’-Lantern wild. The Walking Wild Feature is again triggered. Expanding Death Reaper Wild: Gather 9 Lanterns along with the next wild turning into an Expanding Death Reaper Wild symbol. This results into a Wild Reel which shifts 1 reel at a time on every free spin. Join the scary adventure and enjoy Halloween at its best with Halloween Jack Slot at Moon Games. Wish you the best of luck!